The WeatherPRO Enclosure system is a reusable, track-based, enclosure system for construction and weather protection. 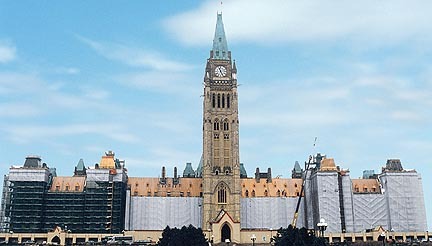 The WeatherPRO Enclosure System (WES) uses a unique track system that is designed to attach to most types of scaffold frames, or can be attached directly to a structure. The WES tracks are made from either a high strength light-weight aluminum, or a tough, flexible plastic. 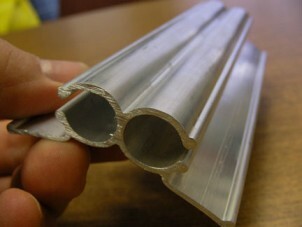 The plastic tracks can be bent to a 1 m (3 ft) radius to go around corners and to enclose the top of scaffold sections. The tracks are easily mounted to scaffold frames and tubes using snap-ties or wire-ties. The track can also be attached to wood frames with nails or screws to make an effective hoarding panel with a replaceable tarp section. WES would normally be used in general construction for hoarding and heating of a building project. WES is ideal for masonry work, painting, and stucco. WES can attach to most scaffold frames including tube and clamp, system scaffold, patent scaffold, and many other frames and structures. Fire retardant insulated blankets are available for work in refineries and gas plants where fire safety is a concern. 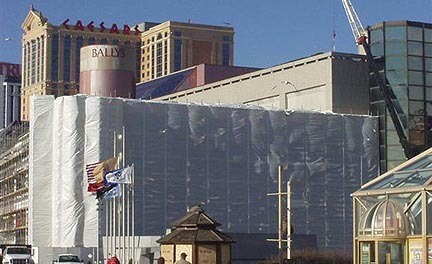 WeatherPRO TES is a heavy duty, reusable, interlocking tarpaulin system for enclosing scaffolding. 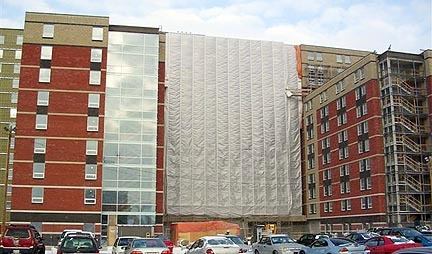 WeatherPRO XTREME is a weather protection sheeting for use on scaffolding or other structures.